^ 楊淑玲. 國際頻道：一場比國力更比創意的世界盛會. 史前館電子報. 國立臺灣史前文化博物館. 2010. ^ 翟, 少冬. 美国斯坦福大学教授来中国做学术讲座. 中国考古. 中国社会科学院考古研究所. 2012. ^ Museum of Antiquites web site 互联网档案馆的存檔，存档日期2007-11-21.（accessed February 13, 2008）. ^ Mellaart, James. 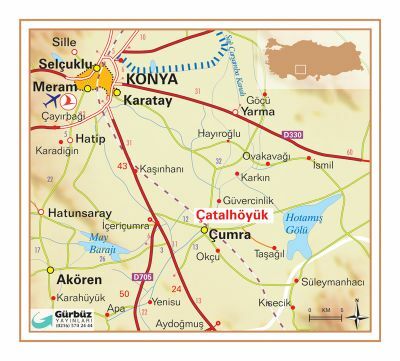 Catal Huyuk: A Neolithic Town in Anatolia. McGraw-Hill. 1967: 181. ^ Balter, Michael. The Goddess and the Bull. New York: Free Press. 2005: 127. ISBN 0-7432-4360-9. ^ Hodder, Ian. New finds and new interpretations at Çatalhöyük. Çatalhöyük 2005 Archive Report. Catalhoyuk Research Project, Institute of Archaeology. 2005 [2013-05-18]. （原始内容存档于2009-09-26）. ^ Hodder, Ian. A Journey to 9000 years ago. 2008-01-17 [2008-08-07]. ^ Masing, Uku. Aarded Tellistes. Tartu, Estonia: Ilmamaa. 2011: 209–227. ISBN 978-9985-77-351-2. ^ James Mellaart forged documents throughout his life. Luwian Studies. 2018-03-12 [2018-03-12]. ^ Owen Jarus. Famed Archaeologist 'Discovered' His Own Fakes at 9,000-Year-Old Settlement. Live Science. 2018-03-12 [2018-03-12]. Ian Hodder. This Old House: At Çatalhöyük, a Neolithic site in Turkey, families packed their mud-brick houses close together and traipsed over roofs to climb into their rooms from above. Natural History Magazine. [2006-08-19]. （原始内容存档于2006-11-15）. Balter, Michael. The Goddess and the Bull: Çatalhöyük: An Archaeological Journey to the Dawn of Civilization. New York: Free Press, 2004（hardcover, ISBN 0-7432-4360-9）; Walnut Creek, CA: Left Coast Press, 2006（paperback, ISBN 1-59874-069-5）. A highly condensed version was published in The Smithsonian Magazine, May 2005.